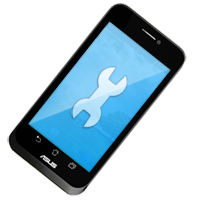 Bootloader repair Asus Padfone A66 it's service that allows repair your damaged phones after unsuccessful firmware upgrade/downgrade. Repair are make using our JTAG JIGs so we don't solder in phones (exception are phones that using Molex port connector - then this connector are installed as same as in any authorized service point). in 95% we can repair it if this are not hardware fault. After you place an order in our store you will get calculation how much repair service will cost + shipping back phone to you (this are shipping cost). Please note that those cost don't covers shipping phone to our company. You can deliver it by any method - post office, DHL, own courier or even directly to our company. We can also arrange pickup of your phone by DHL courier and give you estimated cost of this service. Please don't pay for service now - payment will be done by you after we will repair it but before shipping. Then we will contact with you to make payment. - I can prepay order before I send you phone ? - Usually we don't prefer this way since we charge customer AFTER phone will be repaired. In some cases customer sends hardware damage phones that we are unable to repair - then only shipping cost will apply but no repair fee. - How long repair will take ? - How much shipping charges will cost ?